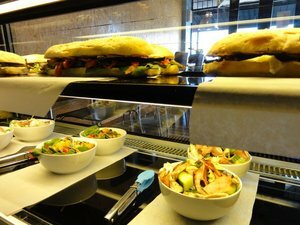 If your looking for a lunch time catch up with friends or business associates, then try Modinetti Cafe in Torrensville. Based in the western suburbs just on the outskirts of the Adelaide CBD, Modinetti’s bring you homestyle Calabrian food that will make your mouth melt. On arrival with a group ten people, I was wondering how we would all fit in the small boutique venue, but then found out they had an outdoor area at the rear of the venue which catered for larger groups. We were greeted by the Head Chef, who ran through the menu for us. This was a nice touch. I had the Penne Salsicce which features italian sausage, marinated eggplant & roasted capsicum in a tomato sauce with a hint of chilli. I found the aroma reminded me of a typical italian home cook meal, so you know that the taste was going to be satisfying. Meal size serves were generous and meals were quite well priced.